Give your event the extra glamour it needs with the funniest standup comedians in Canada! Any event, be it corporate, festive or charity definitely requires someone to stop the audience from becoming a pair of uninterested crickets! And who better than a standup comic? A standup comedian performs in front of a live audience and makes sure their interest in the event does not die! They work towards keeping them engaged and attentive thereby giving the purpose of the event a more fresh reception! If you have ever planned a party, you are aware that a bored audience would only get you bad reviews. Whereas, a happy audience gives more freely, both reviews and donations! Book your slot with the best today and keep it interesting with their help! Contact us today! So, how do you really go about hiring a standup comic? In Canada there are multiple options for you to hire a standup Comedian. Site like “Gig Salad” and “Corporate Entertainers” have a vast list of comedians who have varying degrees of experience and are well versed in different types of gigs. Bookers are the second and most preferred way for the residents of Canada to hire a standup comedian. This is because it reduces the amount of negotiations and also comes with other perks such as handling of ticket sales, etc. With a booker, however, you must be a little cautious. Some lazy bookers tend to let you choose by offering you a rate card. Now this may seem beneficial, but you are actually choosing standup comedians with lesser experience who may not be right for the show. Before you hire a standup comedian make sure you look at their portfolio and their reviews. This would clear up the idea of how much they can relate to your cause. The most surefire way of finding a comedian who resonates with you is to go to their personal website. Comedians like Mark Crocker emit the confidence you need to hire them for your event. They have a history of professionalism and success! Hire the perfect standup comedian for your event and make it one to remember! Call now! Campaigning a cause, getting the sponsors and hosting fundraisers is already tough! But making sure your message is put across and remembered doesn’t have to be! Organizing a charity or fundraiser requires so many aspects to be fulfilled and thought of and you work your heart out for the cause you are campaigning. But 90% of your attendees are unlikely to think about the cause or the event much after they leave. A lot of people are employing comedians and other such entertainers to make the message of the charity event more memorable and for it to leave a lasting impact. This has proven to be beneficial in many cases and prospective patrons are more likely to remember the time “they got a stitch in their side from laughing too hard” than the monotonous presentation. What should you know while hiring a comedian for a charity event? The right comedian to be the face of your cause and charity event can help you turn fate in your favor! Here is a checklist of what you should discuss with your possible choices before you finalize them! Can they adjust to the material? Are they available at the required time? What is their experience and expertise? How much are they expecting as fee? Call Mark Crocker now to consult for your charity event! These questions pretty much form the base structure of hiring an entertainer for your charity event! The key to getting the best comedian at the best rates is to finalize them at the earliest. This would even give them and you time to go over the material for the show and plan the sequence of events. They may have special requirements to enhance the quality of the show and it would be wise to discuss this before hand and make the required arrangements! 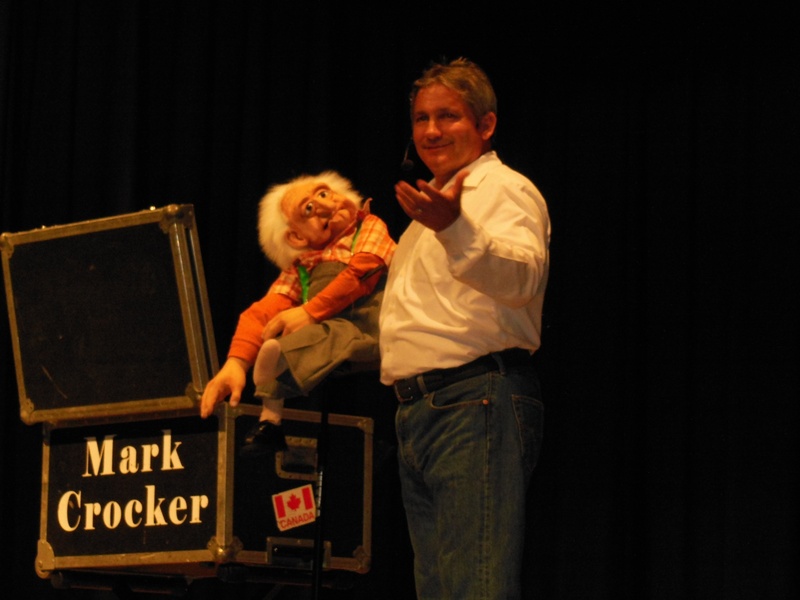 Mark Crocker is one of the most well-known comedians in the industry. 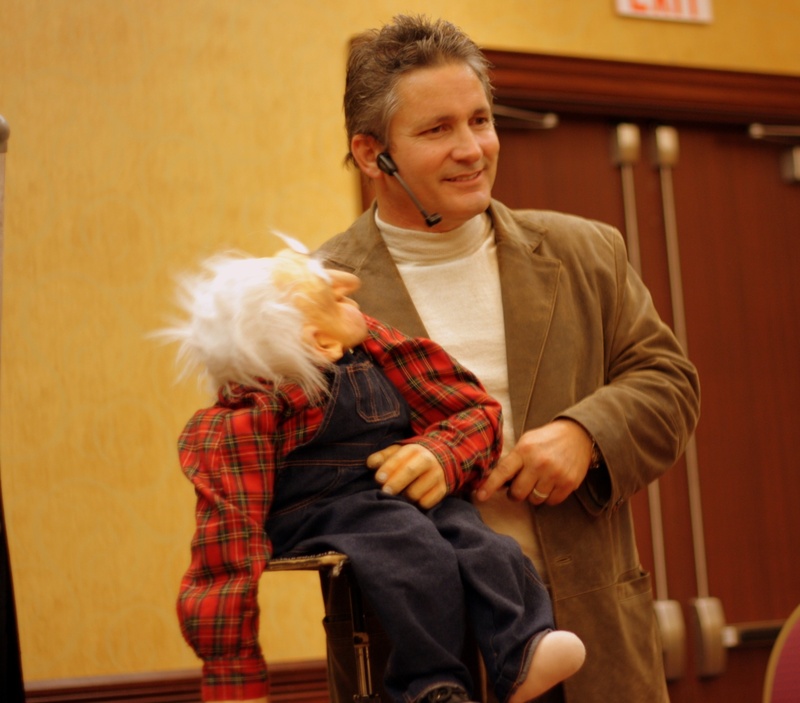 He is an expert ventriloquist as well, which means he can add the extra “oomph!” you require to make your charity event memorable! Hire the right entertainer and make your charity event the cause everyone wants to campaign for! Planning a party for your company during Christmas is no ride on a sleigh! Entertainment is the key to impressing and you do not want to fail! Find out how to get the best ideas for your corporate Christmas! If you have ever been given the job to host a corporate event, you are well aware of how important the entertainers are! And if you are now hosting a Christmas Party, well, you are likely to be in quite a soup if you do not find the right entertainer who lights up the party like a Christmas tree! Most party planners would suggest getting a comedian as the headliner. This makes complete sense because a comedian can definitely make the occasion merry and promote friendship with their light-hearted fun. And any true blue party planner knows that a simple “old man in a Santa Claus costume” isn’t going to cut it, not even with the kids! How can you make your corporate Christmas party unique? 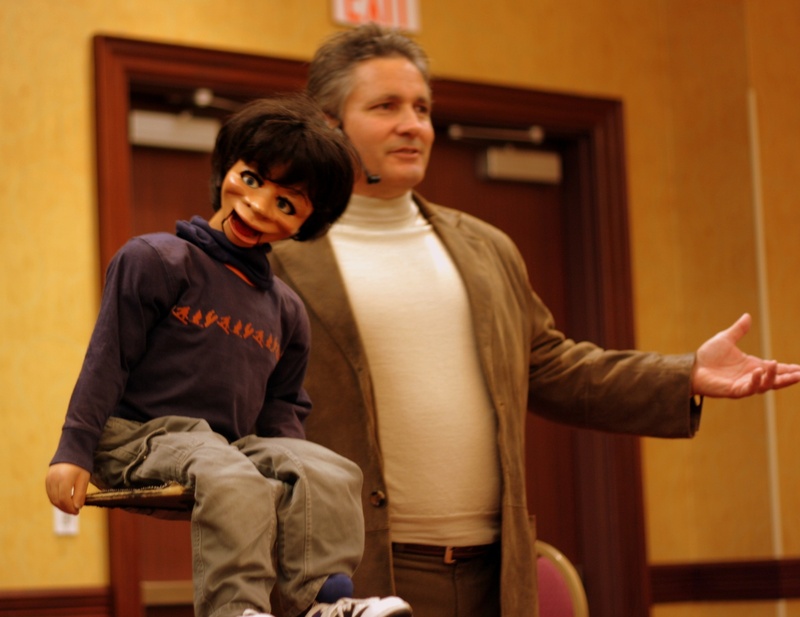 Ventriloquism is a reemerging art form which surprises and captivated audiences. Add to this the allure of comedy and you have the most unique entertainment idea anyone in the corporate industry could think of! Hire the most unique entertainment for your Corporate Christmas Party! Contact us today! The best part about hiring an entertainer of this kind is the fact that you can tailor the set to suit your needs. For example, if you have a theme to go hand in hand with the Christmas festivities, you could definitely ask your party entertainer to drive home the set with humor! A corporate entertainer is aware that with the fantastic humor there has to be a certain amount of professionalism! Mark Crocker is one such Corporate Party entertainer who would make the perfect fit for your Christmas festivities! He is recommended by many professionals in the corporate world and is known for his adaptability, content, and extreme discretion and businesslike performances! He can definitely uplift your event to the right standards! Make your party the talk of the industry with Mark Crocker-the perfect Corporate entertainer! Do you really need a corporate entertainer for your company event? Yes, you do! If you want to be the host everyone compliments and congratulates on the fabulous event conducted, you need a highlight to your party. Not everyone is going to be there for the sole purpose of saving trees or whatever the purpose of your event is, right? People respond to something they can remember. You have to got to make your party the talk of the town if you really want to send across the message. It’s not just community events where a corporate entertainer like Mark Crocker can shine and bring you some fruits for your struggles. Even simple picnics on the odd day of the month can be made memorable with their help!